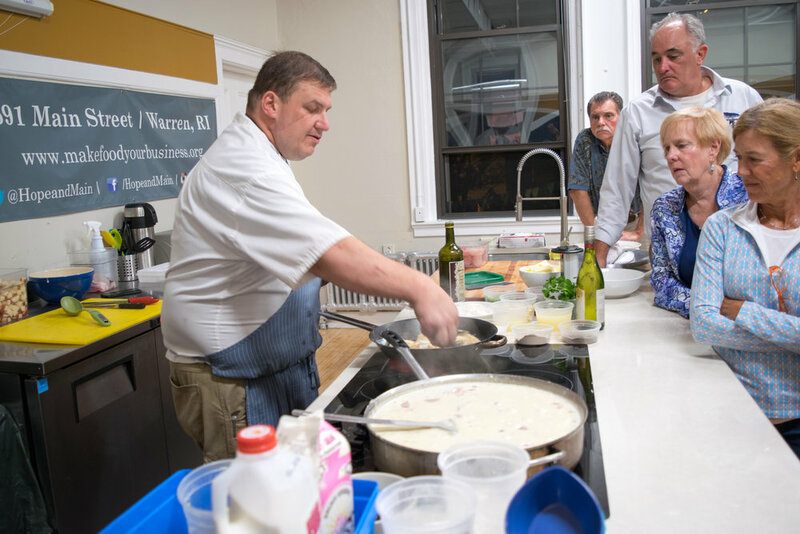 School of Fish is the winner of Rhode Island Monthly's Best Of Awards for Best Cooking Class! Many of New England’s local fish species are only available in whole-fish format, which can be a barrier to consumers who do not have the skills to cook with or break down whole fish. 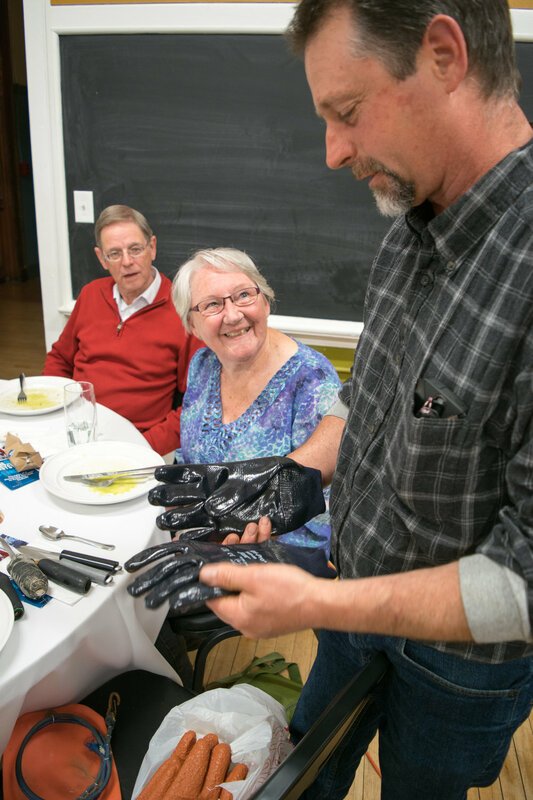 Eating with the Ecosystem’s “School of Fish” workshops help overcome the intimidation and give home cooks the confidence to engage more broadly in the local seafood system. Held once a month during the school year (September-May), these workshops bring seafood lovers together with local chefs to learn how to turn a whole fish - straight from the sea - into a marvelous dinner. 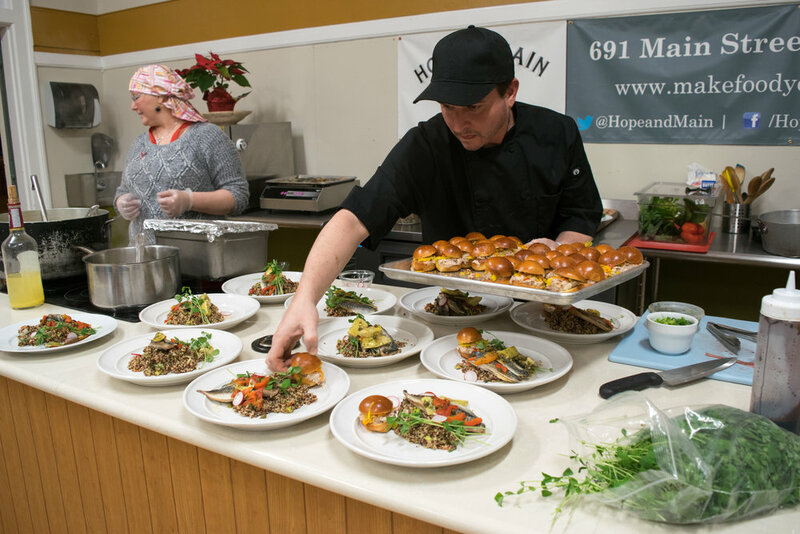 Held in the demo kitchen at Warren, RI's Hope & Main culinary business incubator, each workshop is also a dinner, complete with wine and good company. 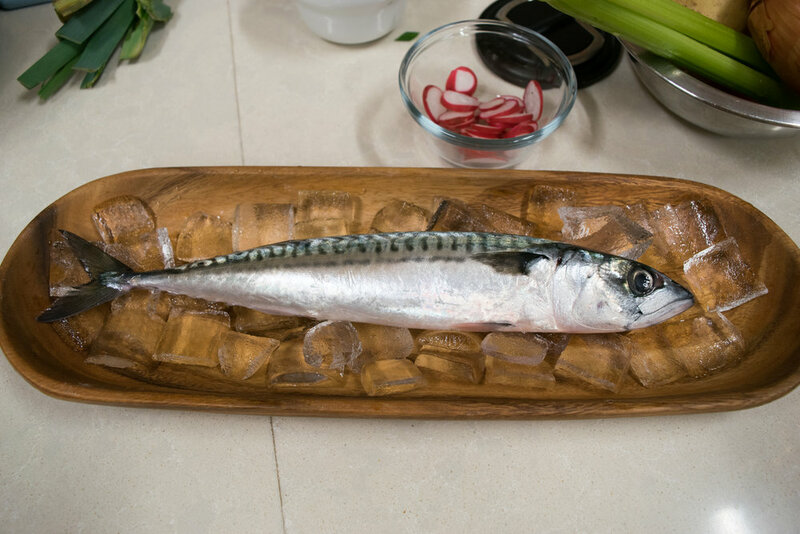 Watch video from previous School of Fish workshops, and learn how to use whole fish at home!